Born in Aviles (Asturias). She studied her advanced studies of flute at the Conservatory of Music in Oviedo, completing her training with the professor Magdalena Martinez. She has also received advice from renowned flutists as Jaime Martin, Vicens Prats, Benoit Fromanger, Javier Castiblanque, among others. Eva has two great passions: interpretation and teaching, she has been dedicated to both of them. But her true vocation is teaching. She is teaching for twenty years with real passion and commitment. 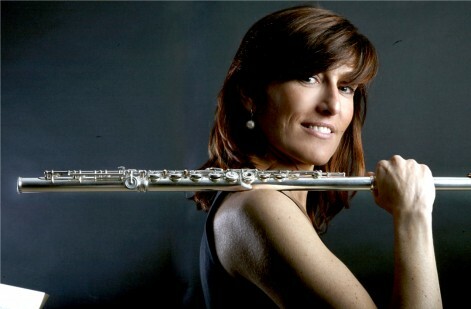 Lively and nonconformist spirit, Eva complements her job as professor of flute at the Conservatory of Music in Huesca with her training in music pedagogy Willlems, with the study of the baroque traverso and with every experience which can enrich her as a musician or as human being.